Enter the world of compression fittings. These Bitspower compression fittings are a must have for professional looking water cooled builds. These fittings are to be used with 1/2" Inner Diameter tubing with a 3/4" Outer Diameter. 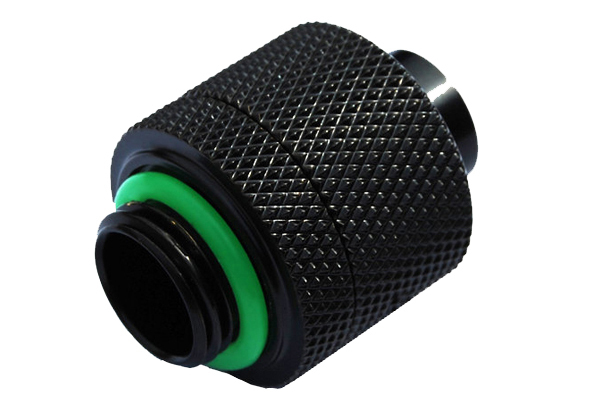 Simply slip the hose into place and tighten the compression fitting for a perfect seal. No need for screwdrivers to tighten clamps or pliers to pull on cable ties. The result is a seamless and clean look from block to block throughout your system.